On Saturday 26 July 2014, Scotland’s National Airshow will be returning to the National Museum of Flight, East Fortune. 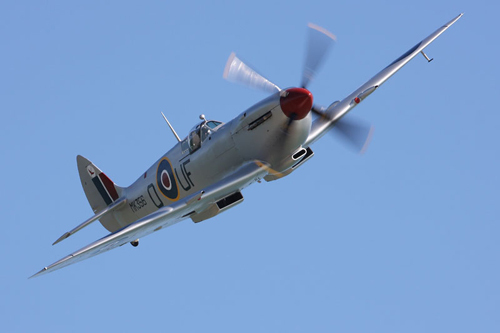 This event is one of the biggest in the calendar in East Lothian, with Stars of the Show like Spitfire, Hurricane, and Mustang, legends that most of us ground-based spectators rarely get the chance to see up close and in person. For a lot of people who know these names, and can recite from memory statistics and curiosities about these awesome flying machines, this fascination extends from a distinct rite of passage, the building of model plane kits. For some this is a small non-event, memories of Dad (usually) trying to persuade you that this is quality, productive time, and fun. For others this is a hobby that carries on well into adulthood. The only difference being that where once youthful enthusiasm and some relatively cheap injection moulded plastic could be vigorously mashed together with some glue and paint, and then destroyed with similar enthusiasm and a few uttered noises like “Vroooom! Kapow! Ratatatat!” a lot of more experienced modellers pour time, money and patience into building their own Spitfires, Hurricanes and Mustangs, to be lovingly displayed. If you have ever seen James May’s Toy Stories, where he attempts to build a 1:1 scale Spitfire, the urge to paint and glue and to proudly display is a strong compulsion. http://youtu.be/8g0b-fS8x0s Above: National Museums Scotland is not responsible for the content of this video but it has been selected as it is relevant to the National Museum of Flight. I myself probably lie somewhere in the middle. It’s been a couple of years (cough – decades), since I had my own squadrons of Spitfires, Hurricanes, and Mustangs (albeit in 1:72 scale). Up until a couple of years ago wrapped in newspaper and hidden in a box in my parents attic, until a clear out where, tarnished by time, and several hits from falling books, spare pots and pans, they were dispatched to the tip. I admit, I felt strange at the time, such a prominent piece of my childhood memorabilia, relegated to the attic, now gone after many years, but I felt that somewhere along the line I’d be the one trying to convince that this is quality, productive time, and fun. So occasionally it is good to keep in touch with these skills. Starting with the basic kit. Remember once you have built it, you have to keep it somewhere. 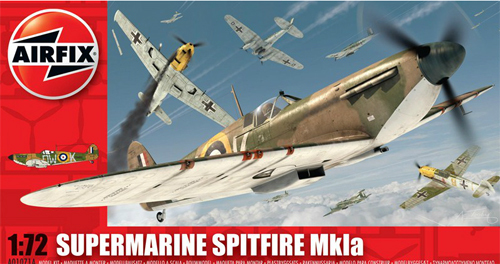 A basic 1:72 scale Spitfire is probably the biggest seller, and for good reason. 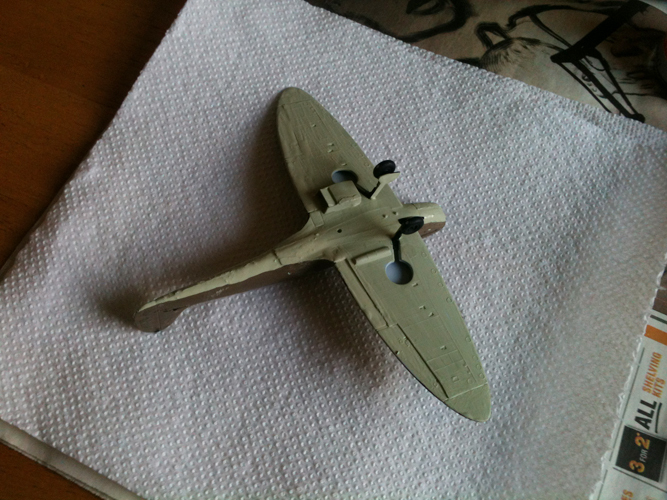 A 1:72 (1 inch / cm on the model equals 72 inch / cm in real life) Spitfire is about 6 inches across when finished and has about 36 parts, anything bigger (e.g. a 1:32 model) will have more parts and be bigger on completion. 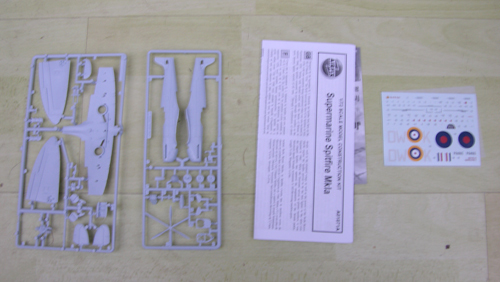 To start, resist the temptation to open the box and pull the parts off, keep them on their plastic moulds. Lay out the newspaper on a flat steady surface, and check the pieces for damage, dirt and grease. If they have any you may wish to wash them gently in a mild detergent solution and let them dry. Painting and gluing the model should always be done under adult supervision in a well aired room. While the parts are still all attached to their plastic moulds is the best time to paint the model, as you have something you can grip without getting paint all over your fingers. The paints are oil based, so the pigment and the oil will separate while it is in the tin so be sure to give it a stir before painting. Some modellers like to apply a base coat primer to their models. I never have, but it is always better to apply 2 or 3 thin layers, and let the paint dry between layers. When painting, watch out for bristles on the brush (particularly if it is an old brush) coming away and sticking to the model. If this happens, use the tweezers to remove it. In addition to this, do not let the parts dry sitting on the newspaper, otherwise the ink from the newspaper can transfer onto the model. I used old clothes pegs, and balance the moulds on these to keep them off the paper. Keep some white spirit, or paint thinner in a small jar. When you are done after each painting session, dip the brushes into the white spirit and stir all the paint out of them before rinsing under water, otherwise you will get paint all over the sink. Ideally, use different clean brushes for each colour to prevent them mixing, and the colour deteriorating. Again, adult supervision may be required here. When you are happy with how your model is painted, glue it together. Use a thin amount of glue, I’ve always found that the glue that comes with a needle is better, with less mess, and always, only have the cap removed from the glue when you are using it, and always put the cap back on again. 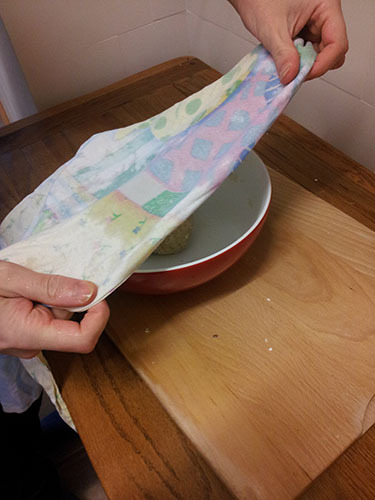 If there’s excess glue once you’ve put pieces together, wipe it off with the toilet roll or kitchen roll. When you remove the pieces from the mould, cut them off using small, sharp scissors, don’t twist them off. Keep the plastic trim if you can. These are good for stirring paint as mentioned previously. Use a nail file to rub away any excess plastic. When you have assembled your model and let the glue dry, you may wish to touch up the paint, especially where it has been in contact with the mould. Wet glue can also affect the paint. You may also wish to use the masking tape to prevent painting over areas such as clear plastic canopy’s etc. 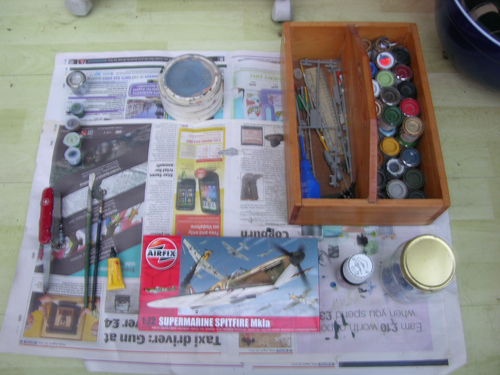 Give the paint and glue plenty of time to dry. When you wish to apply the decals, cut them from the sheet one at a time and immerse them in a bowl of lukewarm water for about a minute. Then using the tweezers to position the decals and a dry clean brush to move them onto the model. Always do them one at a time. Give the decals plenty of time to dry. When a bit more experienced you may wish to try using some weathering powder to give the model an appropriate look. Finally finish the model with a couple of layers of clear varnish. After that, it’s up to you, display blocks are available, but I usually hang my models by fishing wire from the ceiling. Above: National Museums Scotland is not responsible for the content of this video but it has been selected as it is relevant to the National Museum of Flight. The Vikings! exhibition at National Museum of Scotland gives an amazingly rounded picture of life in the Viking Age – not just the raiding and seafaring, the axes and helmets (WITHOUT horns), but life back home on the farm as well. Various fascinating artefacts help uncover what Viking Age people wore, how they ran their households and, of course, what they ate. 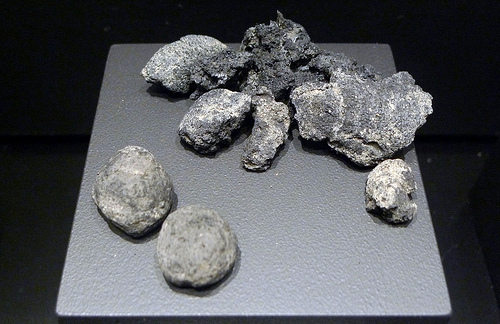 On display in one case are some charred, grey, unappetising-looking nuggets that actually transpire to be Viking bread, found in a grave in Birka in Sweden – nourishment for the afterlife, presumably. Yum. Viking bread in the exhibition. Probably a bit stale. 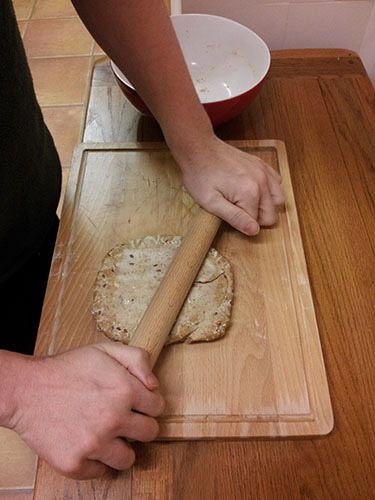 Experts in Sweden have analysed the samples and come up with a recipe for making Viking bread. 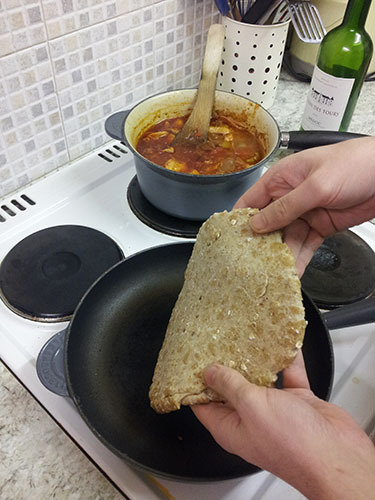 Given that my husband is a bit of a dab hand in the kitchen, we thought we’d give it a go. 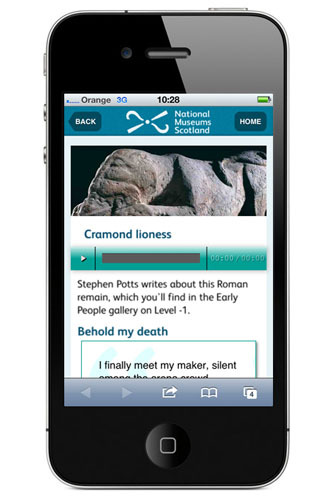 The tenuous link to Digital Media is that you can download the recipe from the National Museums Scotland website here. Our version of the Viking bread ingredients. 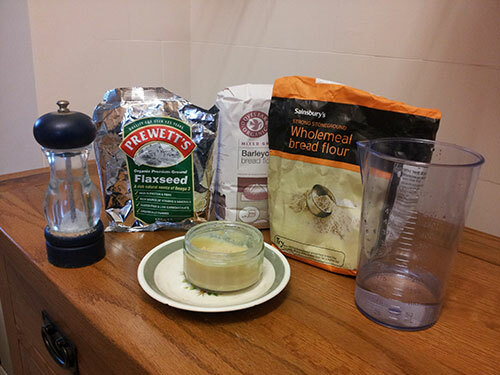 Here’s how we got on making the Viking bread. 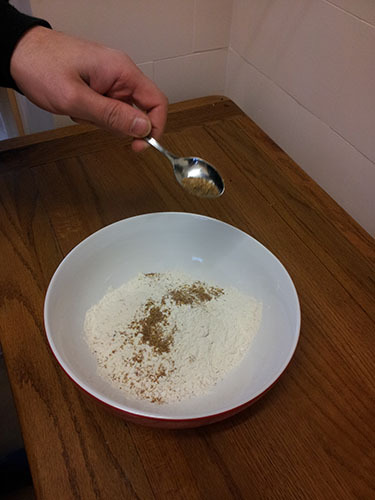 First, mix the dry ingredients together. 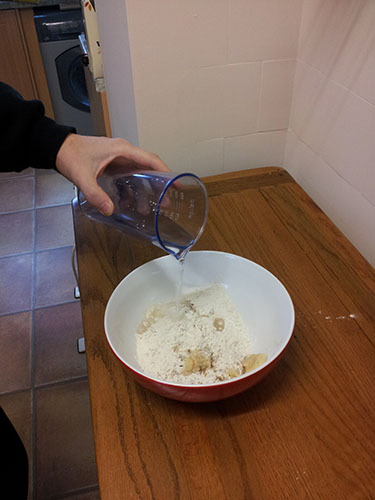 Mix the ingredients into a dough, then knead on a floured board. 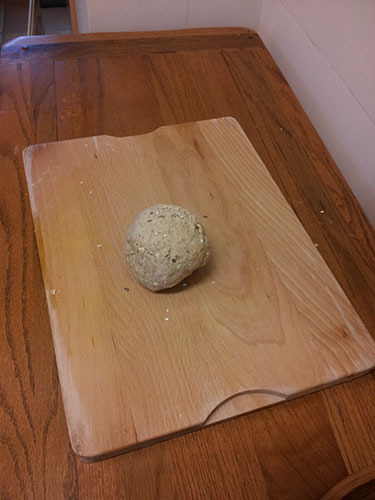 Roll the dough into a ball. Put the dough in a covered bowl and leave it somewhere warm to prove for a couple of hours. We put ours in the cupboard under the stairs, where the boiler is. The dough will expand a little bit, but not much as it doesn’t have yeast in it. 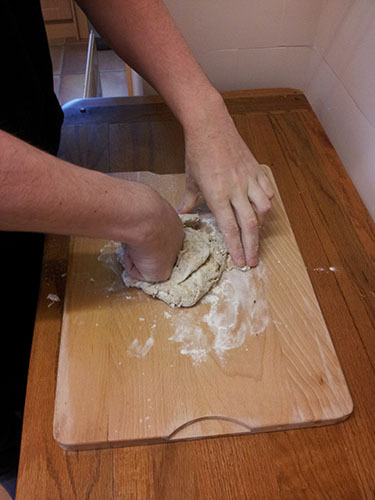 Roll out the dough and shape into a rough circle. We fried our bread in a dry heavy frying pan, but you can also bake it in the oven if you prefer. 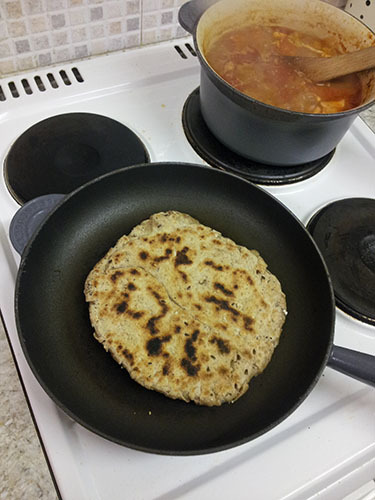 Bake the dough until it turns a nice burnt brown colour, a bit like a naan bread. Serve with a hearty, warming stew. So after all that effort, was it tasty? 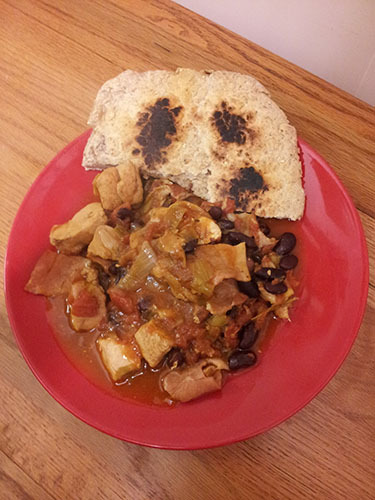 Well, yes: stodgy (as my gran would put it, it fair clags to your ribs), warming and perfect to accompany a stew on a cold evening! Here at National Museums Scotland, if you haven’t realised that the Vikings were invading this January, you must have been working under a rock (or any other big heavy object – the Boulton and Watt engine, perhaps). In Digital Media, as well as preparing visitor information for the website and commissioning our spectacular fiery trailer (inspired by one of my favourite TV shows – no, not Coronation Street, Game of Thrones), we also wanted to find a way for online visitors to experience a slice of Viking life, no matter where they were. 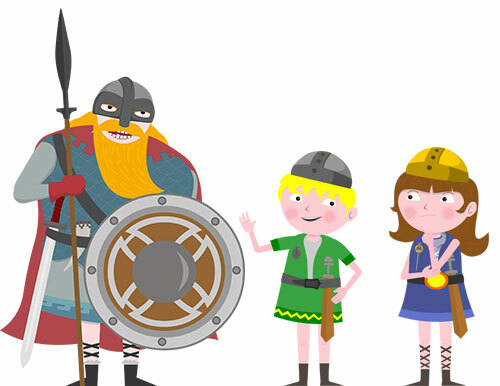 Along with Romans and Ancient Egyptians, Vikings are a perennially popular topic on the primary school curriculum. Here, at last, then, was the opportunity to fill the Viking-shaped hole in our Kids section, by creating a new game to encourage children (and grown-ups!) to engage with the objects in the exhibition and our early Scottish collections, and learn more about the age of the Vikings. We started by inviting members of the Exhibitions, Curatorial, Marketing and Learning and Programme teams to a brainstorming meeting to discuss concepts for our new game. These ranged from ‘The Viking Way’ (a Godfather-like saga about amassing treasure and acquiring new territory, with early retirement as the ultimate aim) to ‘Viking Gold’ (an archaeological dig) to ‘Escape from the Vikings’ (fairly self-explanatory, that one). 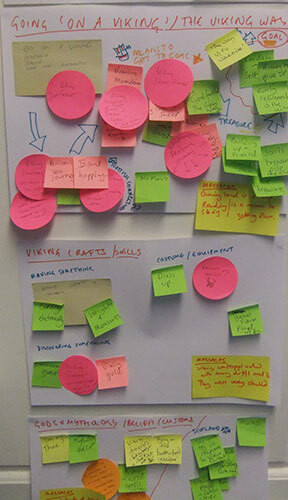 Brainstorming ideas for our Viking game with trusty Post-it notes. Our aim was to convey key messages of the exhibition in a fun, accessible way – and a way that suited our budget: Total Viking Warfare 6 was never going to be an option. First and foremost, we wanted people to understand that there was more to Viking culture than raiding and pillaging. We wanted to get across the skill of Viking Age craftspeople, whose work was of such high quality that certain pieces can’t be replicated today, and the knowledge of their navigators, who charted courses half way round the world. Oh, and we also wanted people to know that Vikings didn’t wear horned helmets. Ever. Hence Vikings! 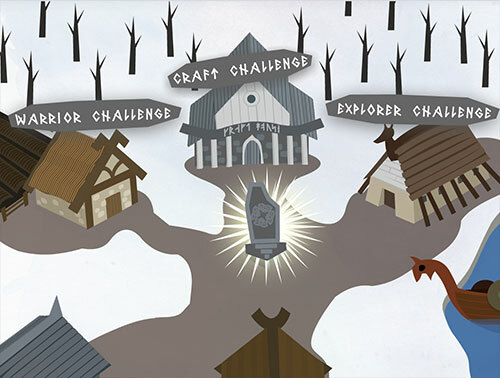 Training School, in which online visitors choose to play as a Viking girl or boy, then test their mettle at weapon throwing, carving and navigation. And if you think that sounds a bit cheesy, think again. Viking children started training for adult life early on: there’s a hefty-looking sword in the exhibition that was wielded by an 8-13 year old boy. The Viking village in the game. The game was created by Dundee-based agency Quartic Llama, who brought the concept to life in a delightful way that appeals to both children and adults, going above and beyond the brief by creating three mini games to test each skillset. The girl, boy and chieftain characters are all beautifully designed: look carefully at their outfits and you’ll notice they’re sporting brooches from the exhibition. One thing you won’t see, however, is a single horned helmet! The characters from Vikings! Training School. Thanks also go to our lively panel of P3 pupils from Dalry Primary School, Edinburgh, who road-tested the game in its early stages. If you can’t get more than a C at axe-throwing it’s all their fault – they wanted the game to be hard! You can play the game at www.nms.ac.uk/vikingschool. Vikings! 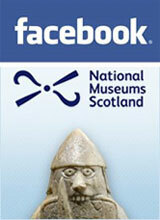 runs at National Museum of Scotland from 18 January – 12 May 2013. Find out more about the exhibition at www.nms.ac.uk/vikings. Recently, the BBC published a list of animals that may be too ‘ugly’ to be saved. Animals such as the toothy Ganges river dolphin, scaly pangolin and spiny long-beaked echidna all face the threat of extinction, but unlike the cuddly panda or noble tiger, their quirky looks don’t garner them the public support they deserve. However, as pangolin expert Dan Challender points out in the article: “when people see footage of them, they fall in love with them.” When we really look at these creatures, we see they’re not ugly at all. This is what Come Draw With Me was all about: looking. Looking carefully, looking from many angles, and looking beyond the surface. Come Draw With Me is a new initiative set up by the Campaign for Drawing, which invites adults to take part in one-off, artist-led workshops in inspirational venues. 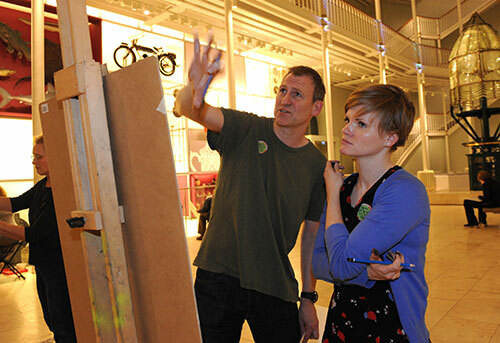 The fourth Come Draw With Me event took place on Wednesday 21 November at National Museum of Scotland, with artists Helen Denerley, Kate Downie, Alan McGowan, Colin Parker and Catherine Rayner at the helm. 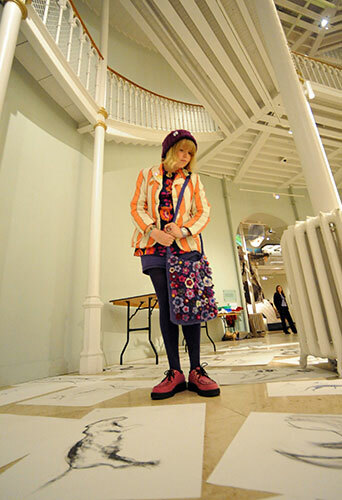 This is the first Come Draw With Me to take place in a Museum – and what a perfect place to spark artistic endeavours! Alan McGowan offers advice to a budding artist. Working in the Museum, it’s easy to rush past objects on display without really seeing them at all. I can’t remember the last time I stopped in a gallery and really observed an object, noticed its tiny details, thought about its history and place in the world. But this is exactly what we’re encouraged to do by award-winning illustrator and author Catherine Rayner, whose workshop I took. Our challenge is to draw our own book character, based on any of the animals in the Museum. As the creator of the delightful Augustus (a tiger), Ernest (a moose), Norris (a bear) and many more, Catherine knows all about observing animals and capturing their personalities and idiosyncrasies on paper. Her sketchbooks are filled with rapid-fire pencil drawings of her animal heroes, caught in a range of different moods and poses. The key to being an illustrator, she explains, is consistency: once we’ve created an animal character, we have to be able to recreate it throughout a story. 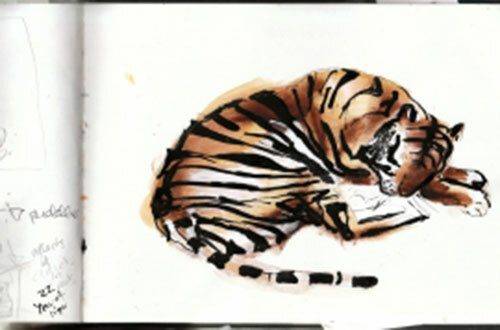 Augustus the tiger having a snooze. Image © Catherine Rayner. First of all, we have to choose an animal, and to spend time looking at it closely before we even pick up a pencil (or a pen, or a pastel, or any of the other cornucopia of art supplies provided by the event’s generous sponsor Staedtler). I chose a giant anteater, because he seemed to me to be both awkward and odd but also endearing, rather like one of the BBC’s ‘ugly’ animals. 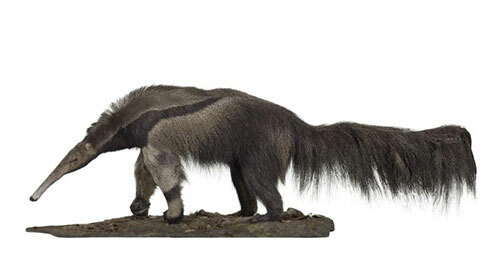 While giant anteaters may not be a critically endangered species, they are classed as vulnerable, and, with his long drooping snout and sad brown eyes, I think the Museum’s anteater knows this. The Giant Anteater in the Animal World gallery at National Museum of Scotland. Who wouldn’t want to draw him? Catherine urged us to think about our animal as a person, to imagine what it is thinking and feeling, what it gets up to and who its friends are. This is also a nice novelty: usually when I’m writing about the Museum’s collection, for our object of the month feature, for example, I’m telling the real story of the artefact, carefully researched by curators and conservators. Here, I get to make it up. I decided that my anteater is a melancholy soul. Who are his friends? He looks lonely; maybe he doesn’t have any. 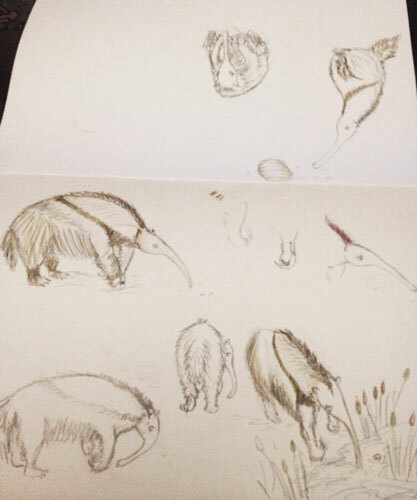 My anteater sketches. 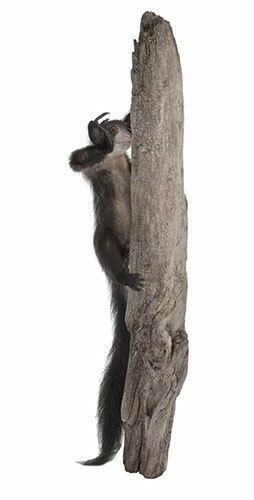 I didn’t realise that he had such a long tail, as it’s hidden behind another animal in the gallery! I thoroughly enjoyed this opportunity to spend time in the Animal World gallery, looking carefully at the specimens. Drawing is a wonderful way of getting close to something and understanding why it is the way it is: the anteater’s long front claws look uncomfortable to walk on, curled underneath him as he balances on his knuckles, but are just the tool for scooping out anthills; his sensitive, lightly furry snout is perfectly formed for rooting out his insecty dinner. Sketching in the Animal World gallery. After two hours observing and drawing, we enjoyed a glass of wine and a new visual treat: looking at the artwork everyone else had drawn. I’m afraid my poor anteater looked a bit lost amongst the amazing creations around him, but at least he’d found some friends. Kate Downie’s group arrange their works in the Grand Gallery. Charcoal sketches by Helen Denerley’s group in the Grand Gallery. Fancy giving it a go? 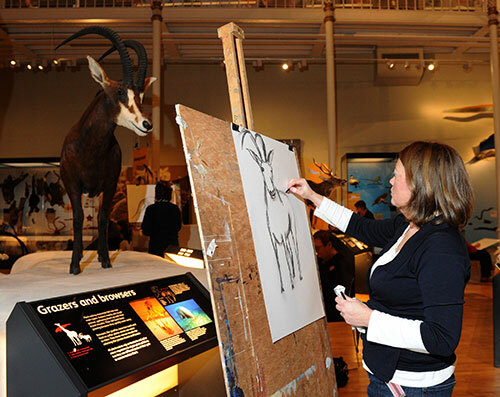 You don’t have to wait for a special event, simply bring along a sketchbook to the Museum and get drawing! And don’t forget, our annual Christmas Art Competition is back from 27 – 30 December – you might even win a prize! On Wednesday 19 September 2012, museums across the globe took part in an online initiative designed to bring the techno-savvy folk of the Twitterverse into direct cyber-contact with that mysterious, dusty, holder of arcane lore, the Curator. Yes, for one day only, the curators emerge from their stores and labs and offices to share their incredible breadth of knowledge with the rest of the world. Of course this is a ridiculous stereotype, but one that does tend to persist (particularly in prime time crime drama) so the more opportunities museums and galleries have to dispel these caricatures the better. And what better opportunity than Ask A Curator day? Now in its third year, Ask A Curator day encourages anyone on Twitter with even a passing interest in museums and galleries to ask a curator a question. Tweeters can direct their questions to a specific participating museum (and this year there were over 500 institutions from 29 different countries taking part) or simply throw their inquiry out there using the #askacurator hashtag and see who responds. Some ask lighthearted questions: ‘What’s your favourite smell in your museum?’ ‘What object in your collection makes you laugh?’ ‘Couldn’t you animate the Tyrannosaurus so that it bites random visitors?’ (At least I hope that was a lighthearted question…) Others pose more serious queries concerning funding, sponsorship and ethics. 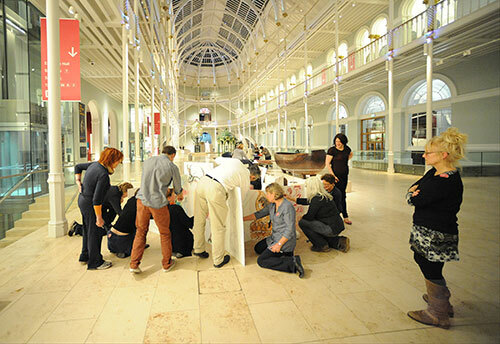 This is the first year National Museums Scotland has taken part in Ask A Curator day and we had five willing volunteers on board, each with an allocated hourly slot. First in the hot seat was Peter Davidson, Curator of Minerals and Meteorites. I can’t think of a much better way of kicking off the day than with a discussion of space debris, the Scottish gold rush (who knew? ), the smell of meteorites (oily, apparently) and life on Mars (or, more likely, the moons of Jupiter). 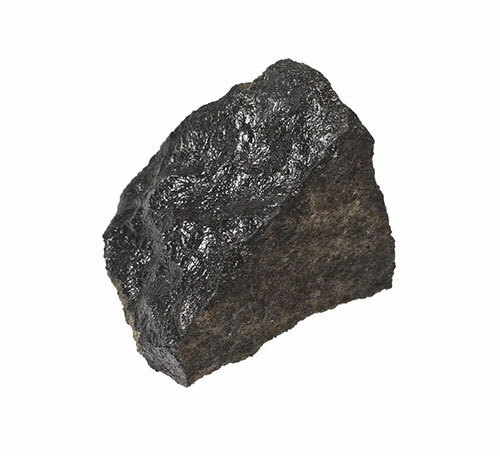 The Martian meteorite, Peter’s favourite object in the collection. In the afternoon, our Principal Curator of Vertebrate Biology Dr Andrew Kitchener took over, answering questions about our bird, mammal and taxidermy collections. His observation that the best thing about being a curator is ‘research & rediscovering old specimens you thought were lost in the collections’ was the most retweeted comment of the day – an example of such a found treasure being a Malayan tapir skull given by Sir Stanford Raffles (of the Singapore Raffles Hotel fame) to the Marchioness of Hastings, who donated it to the Museum in 1921. This Aye-aye is one of Andrew’s favourite specimens, but also the one that gave him the biggest headache when creating the new Natural World galleries, as there were no reference photos available to get the position of its body correct. Thankfully, our friends at London Zoo came to the rescue! Four o’clock was Science Hour, with Dr Tacye Phillipson, Curator of Science, Julie Orford, Assistant Curator of Science and @julieorford on Twitter and Ian Brown, Curator of Aviation, aka @radararchive. Here we again tackled the thorny problems of favourite smells (possibly the odour of aircraft tyres in the rubber room at the National Museum of Flight), least favourite objects (Julie’s is the Wylam Dilly, on open display in the Connect gallery: very large and incredibly fiddly to dust) and coveted objects (Tacye’s is the Festo SmartBird, a unique flight model based on the herring gull). 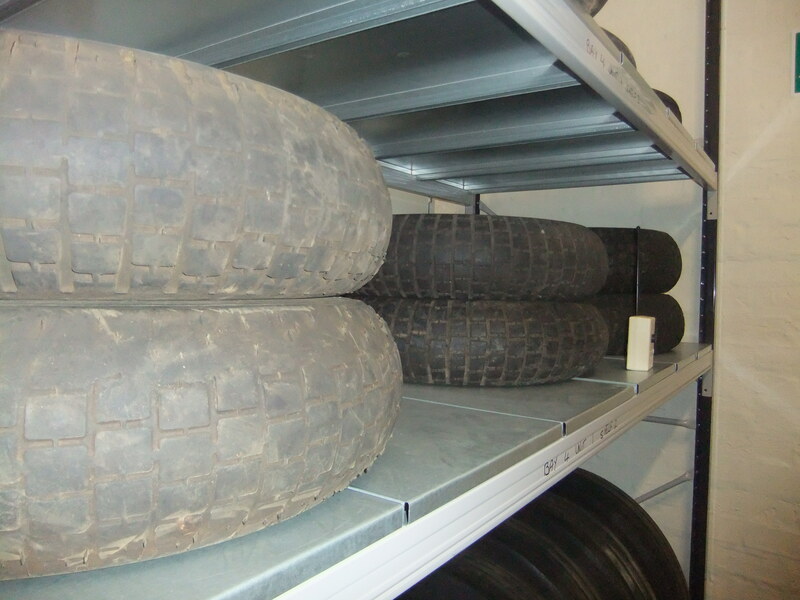 Aircraft tyres in the ‘rubber room’ at National Museum of Flight – mm! The Wylam Dilly in the Connect gallery: bane of Julie’s life! 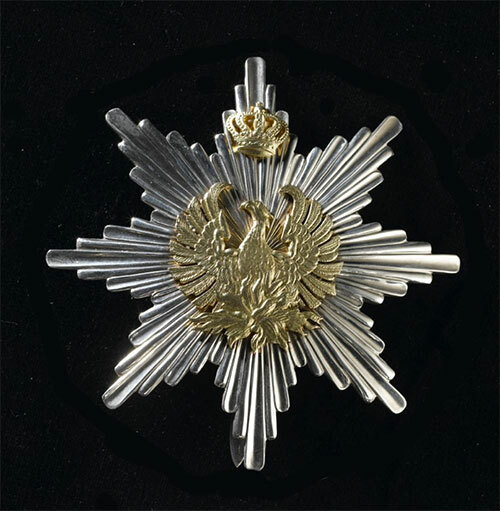 Grand Cross Breast Star of the Order of the Phoenix, one of a group of orders, medals and badges awarded to Sir Alexander Fleming, discoverer of penicillin. We acquired 37 new followers on Ask A Curator day, more than double our usual daily increase. We sent out a whopping 118 tweets (including replies and retweets) – way over our usual average of eight! – and all together our messages were retweeted 60 times (for comparison, the day before we had 15 retweets). But the value of events like Ask A Curator doesn’t simply lie in numbers. 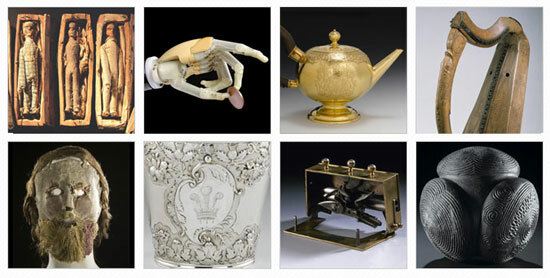 ‘Do you think the way visitors are interacting with your collection has changed over the past 10 years?’ we were asked. Ask A Curator – in which hundreds, maybe even thousands, of people across the world shared questions, answers, opinions and jokes in 12,000+ tweets – surely shows how much things have moved on, how expertise and research is no longer the preserve of the academic few, but can be accessed by anyone with an interest, and digested alongside the latest updates from Stephen Fry and Rhianna. 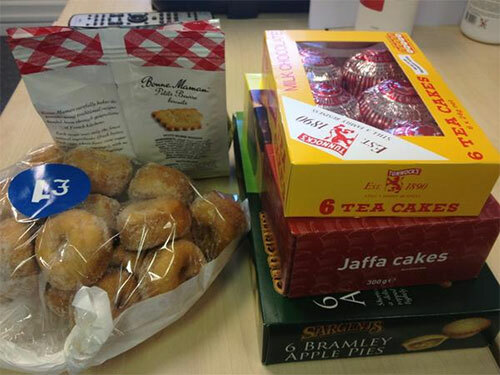 The cakes that fuelled Ask A Curator day at National Museums Scotland! Before I get carried away in tech talk I’ll first explain what we’ve put in place. 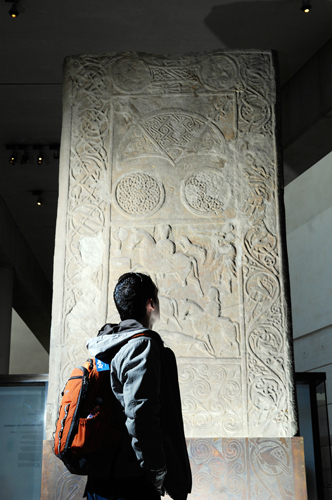 A project called 26 Treasures has just been unveiled at the National Museum of Scotland. 26 writers were each assigned an object from the museum collection and asked to write a response to it, and each of these responses is now on display within our Scotland galleries. Some of the 26 Treasures chosen (left to right): Arthur’s Seat coffins, bionic hand, King’s Prize at Leith, Queen Mary Harp, Alexander Peden’s mask, Prince Charles Edward Stuart’s travelling canteen, sporran clasp with four concealed pistol’s and the Towie ball. As part of our interpretation we decided to edge the boat out a little further – as the aim of 26 Treasures was to give objects a voice, we felt that voice should be heard. We recorded each writer reciting their piece, and by using their own smartphones visitors can now access and listen to each of these audio recordings. 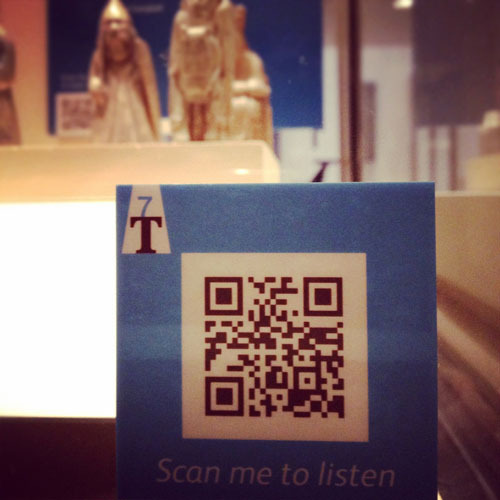 QR code in the gallery linking to V Campbell’s piece about the Lewis Chessmen. 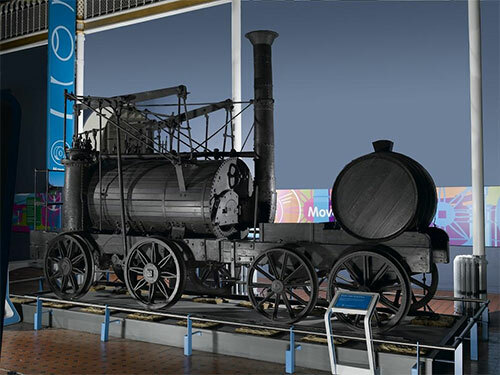 Our aim was not only to deliver something that adds value to the overall exhibit but also be an example of best practice, using information we’ve garnered from previous projects and advice we were able to pick up online, and from other museum and galleries. We’ll be keeping a close eye on our stats to get a sense of how popular uptake is. What follows are a few points that I think are worth bearing in mind for organisations looking at how they make use of mobile. From my many years of experience in this field, I can’t recall another aspect of digital media so badly implemented and inconsistently applied as QR codes. Their unstoppable rise in 2011 has seen a swarm of brands and organisations jump on board a bandwagon they seemingly have little understanding of. So we see codes that simply don’t work, codes that point to websites that haven’t been optimised for mobile phones, codes with calls to action that can’t be fulfilled, codes used as Twitter avatars. That’s without even getting into whether or not normal human beings actually use them (or even understand what they are). Our aim, therefore, has first and foremost been about creating content that we feel enhances the physical museum visit, and the primary effort has been around creating a consistent, quality audio experience. The QR code is merely the trigger, what follows allows people to listen to that audio on as wide an array of mobile devices as possible. 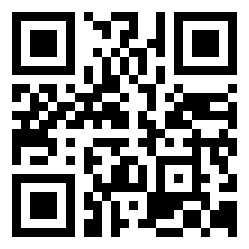 QR code linking to James Robertson’s piece about the Maiden. The wonderful thing about the web today is that you can often rely on it to provide a toolset that would have been difficult to imagine just three or four years ago. The pages we point the QR codes to are part of our mobile-optimised site, but an alternative to this would’ve been to host the audio on a WordPress blog where most themes automatically detect mobile phones. We’ve used bitly to generate the codes themselves, which also allows us to neatly bundle the links for tracking purposes. The 26 Treasures mobile website. In the past, delivering a multimedia experience like this would have almost certainly needed to be outsourced, but these days the right balance of in-house skills and awareness can reduce costs dramatically. Use of mobile devices – whether smartphones or tablet computers – to access the web is on the rise dramatically, and this poses a new and tricky set of questions for all organisations who produce and deliver content. How do we cater for the mobile web when so much that’s gone before has been focused on static, fixed PCs? How can we make sure the experiences we create stay relevant to the devices people access our content on? Is the browsing experience fundamentally different on a mobile device to that of a PC? Much is likely to change over the coming years, so it’s important that cultural institutions are experimenting and iterating with mobile however and wherever they can to help them understand how visitors respond and where value can be derived. 26 Treasures is the first project where we’ve driven traffic directly to our mobile website. The nature of the project – short bursts of narrative – is the perfect subject matter as this provides an experience where people are encouraged to snack, rather than stay absorbed for hours. The small file sizes also get over some of our connectivity issues, so the content should be relatively accessible on even a flaky 3G signal. As well as integrating various bits and pieces of technology, we’ve also tried to think beyond gadgets alone and ensured that there’s as much information as possible to allow people to better understand what we’re doing. The map-based trail available at the gallery entrance contains an overview of QR Codes; each of the codes themselves prompts visitors to “Scan me to listen”, and we’ve published information about the use of codes on our website and via our social media channels. 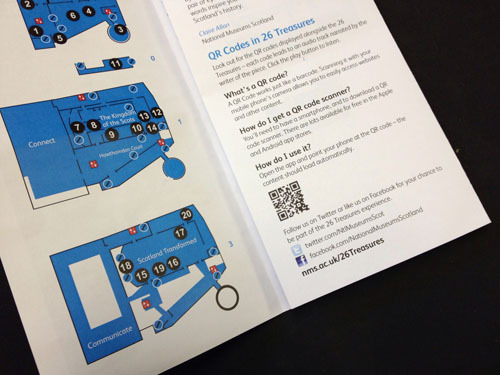 The 26 Treasures trail explains how QR codes work. Given that people seem to be generally confused about QR Codes, it’s been important to provide as much light touch supplementary information as we can. As mentioned, we’ve had to consider connectivity issues and there are points within our building where a strong mobile signal isn’t available across all networks. The Hilton of Cadboll stone, one of the 26 Treasures, in the Early People gallery. The pay-off for using the HTML5 audio player is that earlier versions of Android aren’t able to play the audio, but that’s more than worth compromising to be able to include iPhone users, who still dominate the number of mobile visits to our website. In my experience with delivering any kind of web project is that you have to be pragmatic and accept, whilst striving to make everything as accessible and usable across the board, it’s not always feasible to please everybody. In summary, hopefully what we’ve done is create an experience that can be enjoyed by as many people as possible, and we’ve delivered, on a tiny budget, something that’s successful and that others can learn from.